The age-old tradition of spring cleaning, is age old for a good reason. It can actually be incredibly helpful not only for your health, but also your peace of mind when starting a new season. 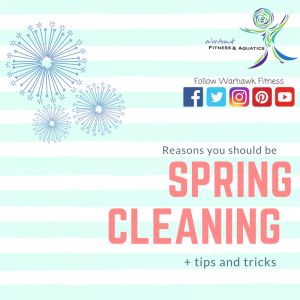 In this blog, we will give you plenty of reasons why spring cleaning (and maintaining that cleanliness) can help you as a person, as well as a couple of tips on how to get the best clean, and how to keep it clean. First let’s start with the reasons you should take a weekend and get your home ready for the care free fun of spring and summer. It can help with many health issues—such as allergies. If you are an allergy sufferer like myself, whether that’s seasonal or dust, cleaning regularly can really help alleviate some of your allergy symptoms (like the itchy eyes, stuffy nose and congestion). De-cluttered homes, means de-cluttered minds—having less clutter around you, and in your environment meant for work or relaxation. The less there is around you to distract your mind, the more productive and at peace you may be able to feel. Deep clean now, relax later—If you are proactive in the beginning of the season, and take a weekend to deep clean now, it will be easier to maintain once the warmer months come around and you want to have fun! You’ll want to start by decluttering the room you’re deep cleaning. If it’s a bedroom, start by getting rid of old or unworn clothes in the closet or drawers. You can donate what you are able, and toss what might be too old or ratty! If you’re in the bathroom, declutter any unused or disliked hair, skincare or makeup products and toss them. Clean out anything that hasn’t been used in the last 6 months from the cabinets of your vanity and medicine cabinet. (Be sure to properly dispose of any medication according to your state, county, or city laws or ordinances). If you’re working on an office, shred any old paperwork taking up room in drawers or on the desk, and get organized with a filing cabinet or desk organizers. Now down to the cleaning! No matter what room you are in, the first thing you will want to do is open all the windows to let the old stale winter air out, and let the fresh air in. It helps if you pick a warmer day (above 55 degrees). It is helpful regardless what room of your house you’re in, to dust all surfaces (counters, bookshelves, desks) and any décor that sits on them. Next you’ll want to vacuum any carpet to get old dust mites out and make sure the air you’re breathing is allergen free. If you are in a kitchen or bathroom, you’ll want to sweep and mop all flooring. Also in the bathroom and kitchen, you’ll want to clean all faucets and shower heads. You’ll also want to wash all linens in every room, so they are fresh and do not contain any of the dust or germs you are trying to get rid of. A major part of deep cleaning, is cleaning not only the obvious things, but also certain things that get dirty but get over looked in routine cleaning, such as air vents and window sills. To start, you can unscrew air vents, dust them off and then allow them to soak in a hot water and a small amount of dish soap. To clean your window sills, it can be helpful to use a mixture of water, vinegar and baking soda in a spray bottle. Spray the mixture onto the sill and allow to sit there for a few minutes, and then clean off with a damp sponge. Although this is a small list of things that can help you to deep clean your home, these small tricks can really help benefit your health and mindfulness as we head into spring! Essential Oils? What Can They Do For You? Essential oils have become the new healing power for people with various medical issues. Whether they be used as scents to clear sinuses, lotions to moisturize skin, or be used simply as aromatherapies to improve relaxation, these plant-based oils have become impressively popular and seem to be working wonders. With all that said, not many people know the history of essential oils or what they actually even are. So let’s dive in and find out! Before we get ahead of ourselves, by definition, essential oils are the organic compounds that are extracted from plants. Through the process of distillation, oil is separated from the water-based compounds of the plant by steaming. During this process you are actually separating the most powerful healing compounds of a plant into a single oil. There is a plethora of different things that you may notice will improve if you add some essential oils to your medicine cabinet. They include: fighting cold and flu symptoms, improving digestion, reduction of wrinkles and strengthen skin, and even can be used to help clean your home. The totally awesome thing about essential oils is that they are completely natural! Whether they be used as medicines or cleaning products, no hazardous chemicals are added. These oils have become so popular that medical hospitals are starting to adopt using them for numerous reasons. A study conducted in 2009 showed that patients who were given aromatherapy prior to entering the operating room, were significantly less anxious and found less patients suffering from anxiety before the surgery took place. Doctors also have used aromatherapy, along with conventional treatments, as treating for pain in hospitals. 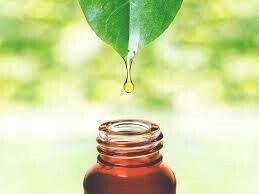 Essential oils are even used as an antibacterial to help treat cuts, burns, and scrapes. Basically, they have turned into a very versatile medicine that can help treat an incredible amount of conditions. Now I can’t suggest a certain brand of essential oils, but my advice to you, is try out as many as you can. Everyone reacts to them differently so find YOUR niche. Personally, whenever I feel even slightly congested, I use eucalyptus spray on my pillow and night and wake up feeling like a new man! Essential oils aren’t the thing of the future anymore, they are the thing of the present and they are making advancements into the medical field. It is a well-known fact that the world is experiencing difficulties finding places and ways to dispose of the population’s garbage; we can view this dilemma as a way to better the world or better our way of life. This change is a way to engage our minds as well as challenge our day to day habitats. Let’s be honest, isn’t it exciting to push out of a comfort zone? 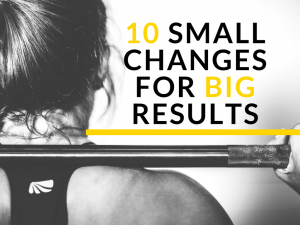 This change can be a little or dramatic as you desire; follow these tips to create a more “natural” you. I have been participating in this challenge, I will star (*) the tips I have been using to give advice. Sometimes it may be easier to purchase a small portion of what you need, but ultimately, it is not as effective as buying in bulk. Products in larger portions use less packaging and provide more for the cost. You will be disposing less, less frequently. *Be conscious of products that are individually wrapped within the bulk packaging. It seems all products have packaging now a day, but you can scout out products that are in less plastic or that have little to no packaging. Some products such as; water, grains, trailing mix, oats, nuts, fruits, or vegetables can be portioned into reusable containers for purchase. The perks of reusable bags and containers are plentiful; they are durable, they store nicely, they are cost efficient, and they rarely need to be disposed of. Colin Beavan, a blogger, suggests using the containers outside of just left overs and grocery store runs, he suggests bringing your own container to take out restaurants to reduce disposal in your household. **I use the containers and bags at grocery store (Game Changer), but I am eager to take a container to a takeout joint. A fillable water bottle is very easy to throw into your daily routine. When you buy a previously owned item you are directly recycling it. It is also a fraction of its original cost! Over time it might need repair, but usually repairs are cheaper, use less resources, and involve less waste than buying new. **This is one of my favorite forms of recycling because it still involves shopping. (: Remember refurbished items are a good option when searching for deals. In a world of technology this change may seem the easiest. You can take notes on a computer, receive digital receipts, and read books on apps more so now than ever! This is a goal to work for; we can always improve this change. This is where you can get creative; use up the tomatoes that will go bad soon or the box of noodles that have been in your cupboard for a long time. Over time you will throw out less and begin purchasing only what you need. **This is a goal I have been working hard at. I always have to remind myself that cravings do not dictate my diet I do, and I have to eat my fruit before they go bad. I hope you take up the challenge, if you need additional tasks or tips visit Yes Magazine’s blog, “42 Ways to Not Make Trash”.